The average American may have no idea how useful and beneficial (and healthful) Ghee can be! We’ve recently added Pure Indian Foods’ Organic, Grass-fed Ghee to our line because of its rich benefits and versatility as both a supplement and a food item. We know you’ll love it as much as we do, once you know why Ghee is so amazing! 1) Ghee is a great source of nutrients. Ghee made from grass-fed beef is rich in vitamins A, D, and E, as well as K2 and fatty acids such as conjugated linoleic acid and butyric acid. 3) Ghee is great for cooking. Because the milk solids have been removed, ghee has a higher smoke point than butter, making it a safe (and delicious) fat for sautéing or frying foods. 4) Ghee enhances nutritious foods. 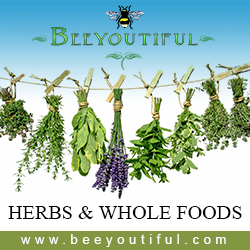 Many herbs and spices have qualities are that are potentiated when warmed in a fat. Sautéing spices and herbs in a bit of ghee before adding to your recipe can help release the medicinal properties and give you greater health benefits. 5) Ghee can increase butyric acid levels. Our own digestive tracts produce butyric acid; it’s used both for energy and for supporting the health of the intestinal walls. But with a leaky gut (or a gut that’s simply in poor health), we may not be able to produce the amount of butyric acid our bodies need. Using ghee not just as a cooking ingredient but taking it supplementally can increase the butyric acid levels in the body and thus increase gut health. 6) Ghee boosts the immune system. All the nutrients in ghee, especially Vitamin A, butyric acid and conjugated linoleic acid, are good for helping to aid and boost the immune system. 7) Ghee is delicious. It just plain tastes good! You can use Ghee in place of butter or other cooking oils in recipes. You can spread on toast and top with a favorite jelly or jam. Or you can eat it by the spoonful to get an extra dose of good fats! The best thing you can do for your heart is feed your body nutrient-dense foods, and that includes healthy fats, organic and pastured meats, organically-raised produce and properly prepared grains. When there is an adequate range and quality of nutrients being taken in, your heart can maintain good health. 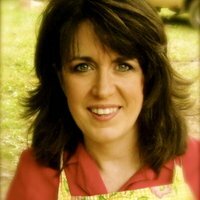 We’ve found Nourishing Traditions to be a fabulous resource as we have made choices with our own families of what foods to use on our tables and how to prepare them. Diet & Heart Disease: It’s NOT What You Think is also packed with specific information about supporting heart health. Deficiencies in key nutrients can cause significant stress to your heart and its health. Vitamin C. According to Fallon and Enig in Diet & Heart Disease​ (p4), “Vitamin C deficiency makes for weaker arterial walls, subject to more inflammation and tearing.” Correcting the deficit leads to strong and healthy vessels and heart muscle. Some of the best sources of Vitamin C are raw milk, fresh fruits and vegetables, and herbs. Minerals. Minerals are found in organic butter, organic animal organs, dark leafy vegetables, raw nuts, and sea products, and if your diet is lacking in these, you may also be lacking in minerals. “Heart disease has been correlated with mineral deficiencies. Coronary heart disease rates are lower in regions where drinking water is naturally rich in trace minerals, particularly magnesium, which acts as a natural anti-coagulant and aids potassium absorption, thereby preventing heartbeat irregularities.” (Diet & Heart Disease, p61-62) When supplementing, make sure to consider the fact that your heart needs a variety of minerals such as magnesium, potassium, calcium, chromium, selenium, iodine, and other trace minerals. Antioxidants. Free radicals, such as pollution, toxins, unnatural chemicals, tobacco smoke, food additives, and even the byproducts of our own metabolized nutrients can attack and damage the body’s tissues (from DNA to arterial walls) if there are not adequate amounts of antioxidant nutrients in the diet. Increased free radicals without sufficient antioxidants increase stress and damage to the heart and its vessels. Examples of antioxidants that neutralize free radicals include Vitamins A, C, and E, Selenium, CoQ10, Zinc, and Glutathione. Sources of antioxidants are dark green leafy vegetables, organic pastured meats, grassfed butter, all orange and yellow fruits and vegetables, and even some spices such as turmeric. In addition, supporting the liver and its detoxification of free radicals as part of the metabolism process is extremely beneficial. Powerhouses of A, D, and K. Dr. Weston Price was one of the first to notice the link between fat-soluble vitamins and heart health. He observed that during winter months when Vitamin D and A were not as naturally plentiful in the diet and lifestyle, the incident of heart attacks went up. “Vitamin A is required for numerous bodily functions, including protein and mineral utilization and the uptake of iodine by the thyroid gland. Since poor thyroid function is a cause of heart disease, a deficiency could be an indirect cause of heart disease. Since Vitamin D is needed for calcium utilization, a deficiency may cause increased calcification of the arteries, leading to accelerated atherosclerosis.” (Diet & Disease, p64-65) In addition to A and D, Vitamin K2 is very important. According to the Rotterdam Study in 2004, K2 is the only known nutrient that not only prevents but reverses atherosclerosis (for more information on K2, please see our post here). Sources of A and D are salmon, fish roe, grassfed butter and cod liver oil. Eliminate Processed Foods. Increase nutrient-dense foods in their whole forms. Avoid refined sugars. Use whole sweeteners such as maple syrup, honey, stevia or rapadura. Avoid all trans fats. ​Exclude vegetable oils, shortening, and margarine. Increase saturated fats such as grassfed butter, unrefined animal fats, and coconut oil. Throw out the pasteurized and homogenized milk. Replace with fresh raw dairy products (if you tolerate dairy well). Just say no to low-cholesterol and low-fat foods. These foods are often filled with chemical additives, artificial flavorings, and sugars. Pick healthy whole foods to nourish and provide the needed nutrients. De-stress your life. Stress increases the presence of free radicals in the body. Increase relaxing activities such as short breaks where you focus on a pleasant hobby. Functional exercise. Choose a physical activity that allows for an increase of heart rate without putting undue stress on the body. Dry brushing. Encourage good circulation and detoxification by using a stiff brush to stimulate the skin. With these nutrients and lifestyle choices, you’ll be giving your body a toolbox full of heart-healthy options. My husband’s family history of heart disease used to scare me. Honestly, with my background as a nurse, I felt that aside from some basic dietary precautions there was very little we could do to ensure he did not journey down the same path that his grandparents were walking. I frankly worried that I would eventually be the one in the recliner by the hospital bed, hoping to hear that he didn’t need bypass surgery. Thankfully, the more I studied and learned, the more delighted I was to realize that we could walk a different path and that heart disease might not be our story’s end. In the past few decades, fat-soluble vitamins have increasingly taken their place and been recognized as major actors in heart health. Traditional lifestyles and diets were examined and concluded to be rich in fat-soluble vitamins from nutrient-dense whole foods, whereas conventional modern diets tend to be poor in fat-soluble vitamins and heavy in processed foods. Incidentally, cultures that have abandoned their traditional diets are documented to have a much higher rate of heart disease than their ancestors. 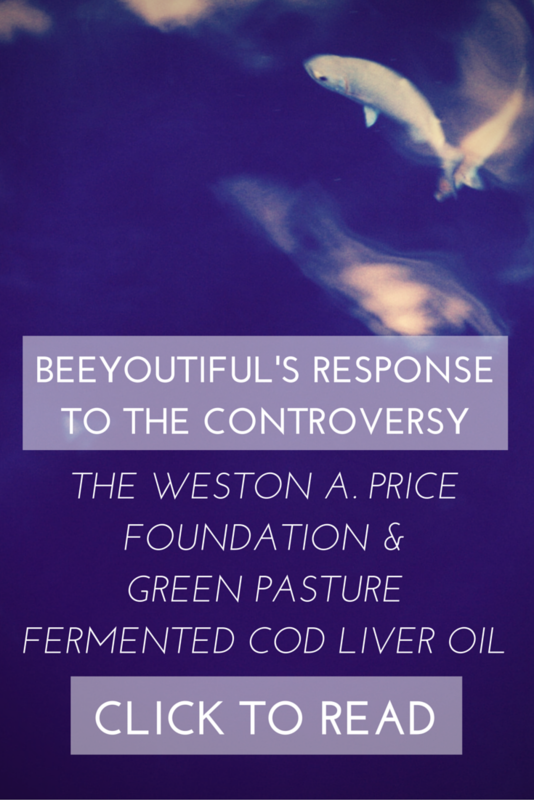 When Beeyoutiful began a few years ago to offer products like Cod Liver Oil, Butter Oil, and Katalyst, I thought it was a great thing to make Vitamin K available, since it does so much with the blood and its ability to clot. But there’s so much more to that vitamin that I had yet to discover! ​Vitamin K: Just For Clotting? I really did not understand Vitamin K at all, specifically K2 (the form present in Katalyst and Butter Oil). The modern American diet is very low in K2 because we typically consume very little in the way of grassfed dairy (made from milk from cows that graze on pasture rather than eating grain) or eggs from truly free-range chickens, two primary sources of K2. What I have learned about Vitamin K2 recently has caused me to prioritize these traditional foods in my family’s diet, and to decide to never leave off supplementing fat-soluble vitamins when I cannot get them from food sources. There is a gentle dance in our bodies that involves many nutrients. Most need another nutrient to help them do their jobs properly. The complexity of these interactions is fascinating, and it explains how easily we can get out of balance when an important companion nutrient is deficient. We are all well aware of the vital role that calcium plays in our bodies. It’s known for nourishing our bones and teeth, supporting heart health, helping nerves communicate, causing muscles to contract, and even supporting healthy blood clotting factors. In order for calcium to move around the body, it depends on other nutrients, and without them it simply takes the path of least resistance. The ugly fact about calcium without its companion nutrients is that the path of least resistance leads straight to the soft tissues such as arteries and muscles. Those aren’t exactly the places where we’d like for our minerals to lodge, and these calcium deposits can cause plaque buildup in the blood vessels and pain in the joints and muscles. One of calcium’s companions is Vitamin D3, helping to increase absorption of calcium through the intestines, directly helping bone health. But unfortunately Vitamin D can only get calcium as far as the blood stream; it cannot get it into the bones. Actually, if you stopped the process here, it’s possible that taking Vitamin D alone could lead to even more calcium buildup in the blood vessels. While D cannot move the calcium into the bones and out of the blood vessels, its other companion can! Vitamin K2 is a little-known supplement that functions as a cofactor that’s necessary to activate the two proteins that are responsible for moving calcium around the body. Without these two proteins (known as Osteocalcin and MGP), calcium simply remains in the blood vessels, creating buildup and contributing to a lack of calcium in the bones. By simply adding K2 to your diet, you are benefitting both your heart and circulatory system, and your skeletal system. All three of these nutrients– calcium, D3 and K2– play vital roles in blood clotting as well, so you’re not only helping to ensure that blood vessels stay open and free, you are also helping to ensure the balance of clotting stays correct. While Vitamin A does not play a direct role in this cascade, what we do know is that A, D and K work synergistically together to regulate each other and protect the body. We highly suggest when supplementing with fat-soluble vitamins that you take Cod Liver Oil along with a Butter Oil to get a balance of all three. The most superior way to take in fat-soluble vitamins is through grassfed butters, whole grassfed and raw dairy, cod liver oil, and fish. When these are not optimal in the diet, we highly recommend Cod Liver Oil and Butter Oil as a secondary option, or the pairing of Dynamic Duo and Katalyst as a budget-friendly backup plan. It amazes me that the body is built to work with such intricate balance that when fed the correct nutrients it actually has the power to strengthen itself against future disease. Don’t shy away from the butter and enjoy those delicious farm-fresh eggs! Have another helping and call it a tasty contribution to your heart health. This post originally appeared in a slightly different form in our Fall 2013 catalog. Are you struggling with prematurely-aging skin, poor vision in dim light, or decreased immunity? What about muscle aches, joint pain, lowered resistance to infection, depression, difficulty managing your weight, or susceptibility to respiratory conditions such as asthma? 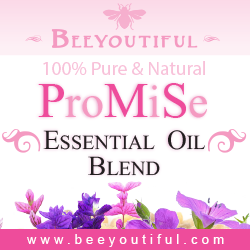 Do you bruise easily, have poor gut health, or suffer from any of a number of blood disorders? While that might sound like an advertisement for the side-effects of a prescription drug, you can tell it’s not, because there is no mention of “and in rare cases, death.” For many of us, these are symptoms of an easily reversible problem: a deficiency of fat-soluble vitamins. One of the most widely accepted dietary travesties in our civilization is the “low-fat diet”. Fats in all shapes and sizes, good fats and bad fats, have been vilified for causing obesity. Meanwhile, the real problem grows as junk food, sugars, and simple carbs are consumed in ever greater quantities. Not coincidentally, obesity rates are skyrocketing. Plus, all of the nutrients that are found in good fats are missed including vitamins A, D, and K.
Vitamins are either fat-soluble or water-soluble. Most of us are more familiar with water-soluble vitamins, like vitamin C and the B vitamins. Water-soluble vitamins are found mostly in foods from plants, they dissolve easily in water, and are not stored in the body in any great quantity. We need to ingest these vitamins daily because the body cannot manufacture them and when the body burns what it needs, the excess is expelled through the urine. Most of us are also familiar with pro vitamin A, otherwise known as Beta Carotene, another water soluble nutrient. Some people think that taking Beta Carotene is the same as supplementing or eating Vitamin A. It is not. Beta Carotene must be converted in the presence of fats in order to become Vitamin A. This conversion is inefficient at best and in some individuals it just doesn’t happen at all. But the fat-soluble vitamins are either made by the body or come from animal products (traditionally-raised, that is!). The body stores these nutrients in the fatty tissues for later use. Because the excess of these vitamins is stored, there is a possibility of toxicity from overdose which has led to a lot of misinformed fear-mongering. That is why most of us have never heard of the importance of these vitamins, why there is little or none of them in multivitamins (in their most bio-available, fat-soluble form), and why many people are deficient. Prepare to be informed! Vitamin A plays two roles in the health of cells: it protects existing cells from damage as an antioxidant, and lends crucial assistance to the growth of new cells. This can be especially evident in the skin, bringing the youthful, resilient qualities we so desire. It also boosts the immune system, guarding against infection and disease. Vitamin A, and the other fat-soluble vitamins, enhance the mineral absorption of the digestive system. It makes the minerals in your food more bio-available to the body, unlocking them for efficient use. On a plant-based diet without sufficient fats, the body may be literally starving for minerals despite the high dietary levels, simply because they are not partnered with the appropriate nutrients to assist in processing. Calcium deficiency, responsible for porous and weakened bones, can often be blamed on insufficient vitamin D3. Vitamin D3 increases the absorption of calcium and works in concert with vitamin A to process minerals into useful forms that contribute to healthy bones and teeth. D3 is also incredibly important for the immune system and is especially good for combatting viruses! After vitamins A and D have overseen the process of protein production, a near-magical substance activates the proteins, turning them on for use in the body. 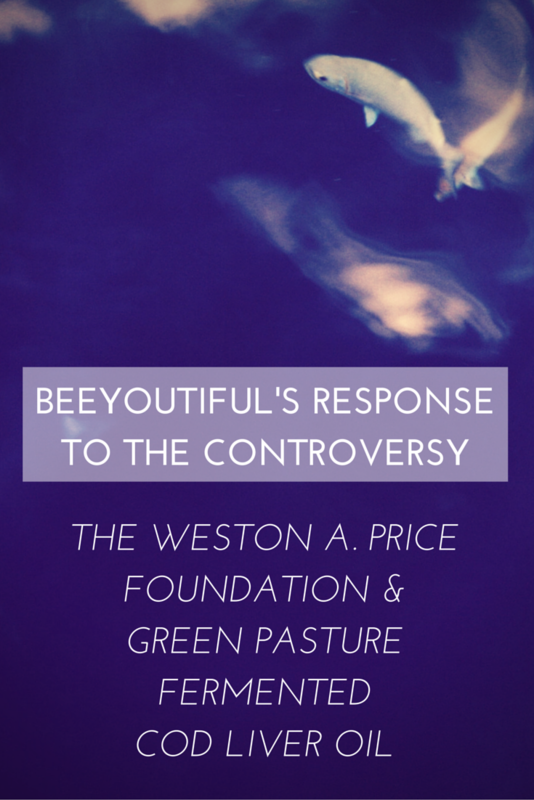 The renowned Dr. Weston A. Price noticed its powers in his studies, but its actual identity remained a mystery and he referred to it as “Activator X.” It was later identified as vitamin K2. Vitamin K2 is probably best known for its essential role in blood clotting. The liver needs it in order to produce prothrombin, a substance that helps the coagulation of blood. Without K2, even a small cut could result in major blood loss. While vitamin D helps increase calcium absorbtion, vitamin K2 tells it where to go. We don’t want calcium to contribute to plaque deposits in our arteries or any other soft tissue, and K2 helps direct it to bones and teeth where it’s really needed. The relationship between A, D, and K2 is important. When fat-soluble vitamins are taken together rather than as isolated supplements, they form a synergy, a cooperation that works better than when the parts are alone. For example, large doses of vitamin D or vitamin A taken alone without its partners may have little benefit and could even prove toxic. However, massive doses of A, D and K2 have been given to animals without toxicity, when they were in proper proportions. It appears that a unique buffering and protection happens to prevent toxicity when all three are consumed together. This is why it’s always best to get vitamins from a nourishing diet built around nutrient-dense foods and high-quality, food-based supplements. How do I get enough? Back in the 1930’s, Dr. Weston A. Price discovered that cultures with traditional lifestyles took in ten times more of the vitamins A and D than Americans did. Note that back then, the average American diet was still fairly nutritious, with a lot of whole, locally-grown, home-prepared foods. In the years since Dr. Price’s research, there was an explosion of factory farming and processed convenience foods, so now, eighty years later, it isn’t much of a stretch to presume our deficiency is even worse. How can we reverse this trend? Vitamins A, D3, and K2 are found only in animal products (and in the case of D, through sunlight synthesis); a plant-based diet or a processed-food diet won’t have enough of these crucial nutrients. Seafood, especially fish eggs, fish livers, fish oil, and certain fish and mammals, provide high amounts of this trio. Wild-caught seafood that is fresh, frozen, or dried are higher-quality sources of fat-soluble vitamins than canned or farm-raised seafood. Regular sunshine, about twenty minutes daily, can help raise your body’s vitamin D reserves. It is best if the sun is directly overhead, especially midday in the summer; the skin is not as efficient at D-production with the slanted rays of morning or evening sunshine. Darker skin is slower at absorbing sunlight and often requires longer exposure to the sun to raise vitamin D levels. Because many of are unable or unwilling to get out enough in the heat of the day, sunshine alone is often inadequate and most of the world (unless you live along the equator!) will need to include a dietary source of vitamin D3. If we can’t get enough sunlight ourselves, we can get it from grass-fed animals raised in sunlight. You can find high concentrations of the fat-soluble vitamins in the meat and organs of traditionally-raised animals as well as in butter, cream, egg yolks, and animal fats such as lard and duck fat. Industrially-raised animals that are not pastured have only negligible levels of vitamins A and K2, and without sunlight, D as well. To optimize your grocery investments, target the highest quality possible for eggs and butter. 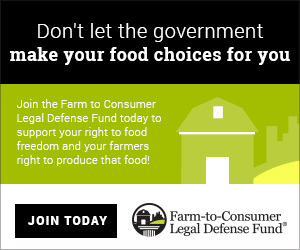 Look for foods from pastured animals instead of grain-fed. Nutrient-dense sources pack a mighty punch in a small package. Don’t waste valuable space filling your grocery basket with high-calorie but low-nutrient foods! Add cream or butter to soups to provide more nutrients and to enhance the absorption of the nutrients present in the vegetables. Top cooked vegetables with high-quality butter or coconut oil. Eat salads with rich homemade dressings made from fresh, healthy fats such as olive oil. Cod liver oil and butter oil are some of the best sources of fat-soluble vitamins. 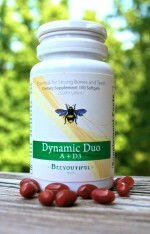 Paired together they offer an incredible health boost. We believe this to be the highest quality whole food supplement available for this vital trilogy of fat soluble nutrients. 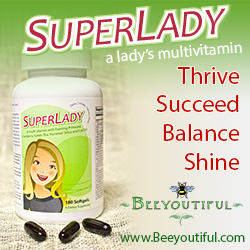 For a more affordable option, Beeyoutiful’s Dynamic Duo provides vitamins A and D3 in good proportions to each other and is sourced from fish oils. D3 is available in a liquid and gel-cap form as well. A diet rich in leafy greens will provide adequate amounts vitamin K1, but vitamin K2 is still needed. K2 is found in grass-fed animal products, especially cheese, meat, liver, and egg yolks. 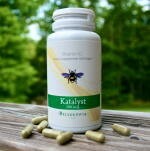 Supplementing your diet with one capsule of Beeyoutiful’s Katalyst every day could help increase vitamin K2 reserves and prevent a deficiency of this crucial nutrient. For supplementation we recommend a ratio of 4-10:1 A to D3, and 10:1 D3 to K2. As always, for full utilization of nutrients extracted from their food form, take with a meal, as the body is designed to process nutrients from a food source rather than from an isolated supplement taken on an empty stomach. 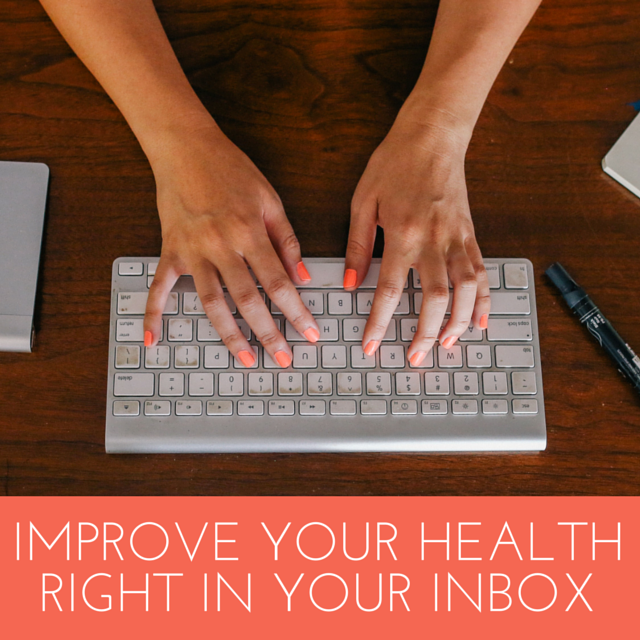 You’ll get more from both your supplements and your food. 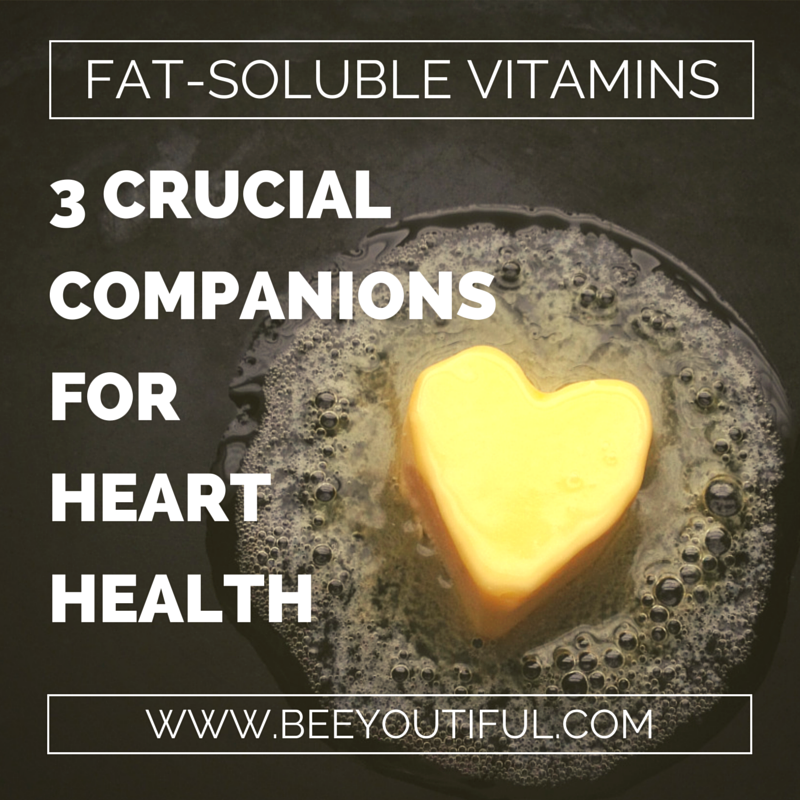 Fat-soluble vitamins are crucial for health and a long life and are only available to the body through traditionally-raised animal products or careful supplementation. Don’t allow your health to stay permanently compromised due to a lack of these crucial, health supporting vitamins. Buy high quality whole food sources as life logistics and personal budgets allow. If life constraints are such that food sources are not an option the supplemental form of these nutrients will do exactly what they are designed to do, bridge the gap.